On 19 November 2005, when you Mr. Percy Mahendra (Mahinda) Rajapaksa, assumed the mantle of the 6th Executive President of Sri Lanka, many of us, including diehard UNP supporters, hailed you as a true son of the soil, who would finally make things right, for our country. Such was the hope we optimists, had in you. Some even said, “Mahinda is one President, who has blundered his way to success”. At the time, it sounded funny, but true. After all, you were the pleasant and simple village guy, forever the underdog in the political arena, catapulted to the top, and had to find his way around. But you seemed to get it right eventually, though rather clumsily. When you did, what all of your predecessor didn’t have it in them to do; give full freedom to the three armed forces, to rid the country of the LTTE menace, the masses bowed to you, with gratitude and relief. Hence, you shall forever be remembered, as the leader who set us free, from a ruthless terrorist outfit! But then, the “We Won the War” phobia came over you. When the masses voted you in, with their hearts and not their heads, for a second term in 2010, you lost it! And that was the beginning of your downfall! Those sycophants around you made you feel like the uncrowned King of Sri Lanka, and it rapidly seeped into your psyche. You then started to act like you had the right to remain our leader, ad infinitum. And what you eventually did ruthlessly, to ensure that, is now old hat. As our President Maithripala Sirisena mentioned in his address to the nation, this country needs an ordinary man to serve its people, as its ‘Chief Servant’, NOT a King! Your first faux pas, amongst many, was the ‘bull in a china shop’ manner in which you dealt with your predecessor Chandrika Bandaranaike Kumaratunga. I quote from an article I penned in February 2007- National Interest- my foot! “You see, those of us women, who were born to a combination of Southern plus Kandyan parentage, can be quite an unpredictable force to reckon with. We lie low until the storm blows over, and then we rise above it all with such force, and all kinds of surprises. Better keep an eye over your shoulder, there is no telling what will happen.” So now you know, what I meant by the above, eight years ago! 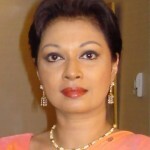 Your bête noire, Chandrika Bandaranaike Kumaratunga, returned for vengeance, got it and left! Next on your list of faux pas, to secure your position, you broke a world record by ‘gathering’ and producing a humongous Cabinet of Ministers and deputies; many of them unfit to sweep the floors, of the hallowed Parliament. This included undesirable elements like Mervyn Silva and his ilk. Even a zoo-keeper would have found it challenging, to control such a depraved bunch. I’m sure Mr. Rajapaksa, even you didn’t know, who most of these Ministers, Deputies and MPs were; there were so many in the circus you called a Cabinet. Then you went an unforgivable step further, by stoking the tinderbox of ethno-religious extremism, by pampering Buddhist extremists, such as that despicable man Gnanasara, and his Bodu Bala Sena (BBS). Things really started going wrong for you, when you showed no signs of bringing to book, such menaces to society. No matter what they did to insult and harm our fellow Sri Lankans of the Muslim and Christian faiths, you simply looked the other way. By doing so, you turned Buddhism into a mockery in this country. Only a morally bankrupt demagogue would resort to using ethno-religious extremism, and you Mr. Rajapaksa, was such! Never did we Sri Lankans; Sinhalese, Tamil and Muslim, feel so polarized on grounds of our ethnicity and religious beliefs, as under your leadership. For this, you ought to hang your head in shame! Had 51.3% of our people not stood their ground on the 8th of January, 2015, we would have been looking at another protracted war, this time on ethno- religious grounds, of mind– boggling dimensions. Also, those very same demons, you were pampering, might have ended up strangling you with your own ‘satakaya’. Remember what became of President Premadasa, after he gifted arms and weapons to the LTTE? Remember what Somarama did, to Prime Minister SWRD Bandaranaike? Any leader, who remains too long at the helm, like you did Mr. Rajapaksa, loses touch with the common man and his woes. And this is precisely what happened to you. You got used to, and took for granted, the ‘good life’ at the top, and all the pampered glory that went with it. You appeared not to give two hoots, for what the ordinary man who voted you in, was enduring. These ‘mundane’ issues appeared to bother you, only when an election was round the corner. What hypocrisy! Then there was that abominable ‘Victory Day’ in the month of May, which you insisted on ‘celebrating’, come hell or high water, despite thousands of your own innocent countrymen perishing, or becoming refugees in the process. The vulgar display of pomp and pageantry associated with this ‘Victory Day’, made most of us, sick to our stomachs. Had you been a true Buddhist leader, you would have shown some compassion and sensitivity, towards all those fellow Sri Lankans, who gave life and limb to make this so called ‘victory’ possible. After all, it was our own, who perished for mistakes of your own political predecessors, and not an unwelcome foreign invader! But no, instead you had to ‘celebrate’ this so called ‘Victory Day’, in the most crass and tasteless way possible, with such pomp and pageantry. After the “We Won the War” phobia devoured you, many of us ceased to expect your leadership to show such qualities as wisdom, vision and direction. You ignored the God-given opportunity to do right by the Tamil community of this country. Instead, you went on to divide the Sinhalese and Muslims as well. What were you hoping to gain, by kindling and keeping the embers of disharmony among the populace, glowing and alive? The trauma of defeat, for one such as you Mr. Rajapaksa, must be a difficult one. The transition from ‘Honourable’ to ‘another’ must surely be unbearable. Now that you have time on your hands, Mr. Rajapaksa, I sincerely hope you will find it in you, to repent all the wrongs you permitted to happen, under your leadership; especially, the ‘white-vanning’, disappearances and murder of so many of our fourth-estate, disliked by you or your cohort of stooges. I also sincerely hope, you now realise, that no matter how many Gods you bribe, candles you light, coconuts you break, barks of Bo trees you kiss, and thingamabobs you clasp in your hand, when ‘Karma’ dictates “It’s time to go”, you have no option, but GO! In this instance, ‘Karma’ made you carve out your own departure, when you placed all your faith, in a ‘quack’ astrologer, who now claims, “Not all of Nostradamus’ predictions have come true either”. Perhaps, it would do you good Mr. Rajapaksa, to revisit the teachings of the Buddha, and take heart in his words, ‘NOTHING is permanent’! 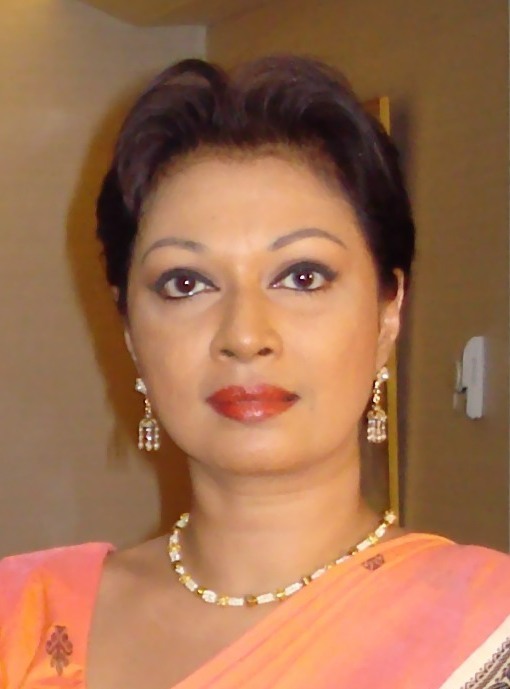 *Sharmini Serasinghe was Director Communications of the former Secretariat for Coordinating the Peace Process (SCOPP) under Secretary Generals Dr. John Gooneratne and Jayantha Dhanapala. She counts over thirty years in journalism, both print and electronic media.